Ryan Reaves talked about the playoffs after the team's final practice at City National Arena before heading to San Jose. 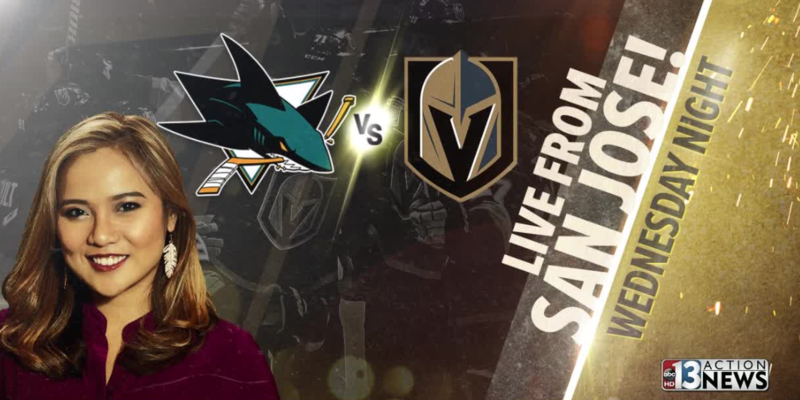 LAS VEGAS (KTNV) — The Vegas Golden Knights will meet the San Jose Sharks on the ice tonight in California during round one of the Stanley Cup playoffs. 13 Action News spoke to Ryan Reaves after the team's final practice on Tuesday at City National Arena. Reaves said that the players would like to start the series at home but it shouldn't have too much of an impact on their performance. "You always want to be at home to start the series but I don't think it's something we are worried about. We've played well in that building, we know how to play on the road, we did it all last year. It is what it is." Fans lined the street after the practice to say goodbye to the team. San Jose is favored to win the game by a slight margin. The puck will drop at 7:30 p.m. and 13 Action News will be at the game to provide coverage. For fans who were not able to travel to San Jose, there are two big watch parties in the valley. Click here for information.